Chanel might not be in the business of making furniture, but the Paris-based brand – which recently revealed that it brings in $9.62 billion in annual revenue – does not want you using its trademark to sell furniture, either. 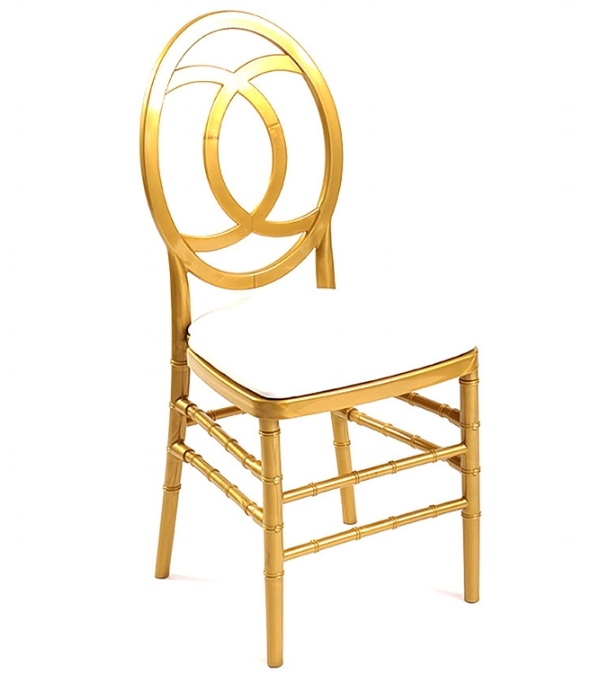 According to a lawsuit that Chanel filed in U.S. District Court for the Eastern District of New York last month, Luxe Event Rentals & Décor (“Luxe”) has been providing dining chairs and wooden bar stools for events that make use of Chanel’s famous “CC” logo, and is on the hook for trademark infringement, false advertising, and unfair competition as a result. According to Chanel’s complaint, Brooklyn-based Luxe is not only running afoul of trademark law by offering up dining chairs and bar stools that make use of its double-C logo, which is “well known to the consuming public and trade as identifying and distinguishing Chanel exclusively and uniquely as the source of origin of the high quality products.” It is also actively breaching an existing settlement agreement it entered into with Chanel in July 2017. But, it turns out, the parties had not seen the last of each other after signing off on the deal, which enabled Luxe to avoid facing off against the Karl Lagerfeld-helmed house in court. Chanel claims that it recently discovered that, despite the existence of the settlement agreement, Luxe has continued to use the exact chairs that had caused the dispute to begin with. By failing to uphold the requirements set forth in the settlement agreement, Chanel claims that Luxe is in breach of their agreement. Chanel, which is also claiming trademark dilution, is seeking monetary damages, including all profits that Luxe made in connection with the infringing chairs, and injunctive relief, which would immediately and permanently bar Luxe from using its double-C logo in any capacity. * The case is Chanel, Inc. v. Luxe Living Design LLC DBA Lux Event Rentals & Décor, 1:18-cv-03769 (EDNY).